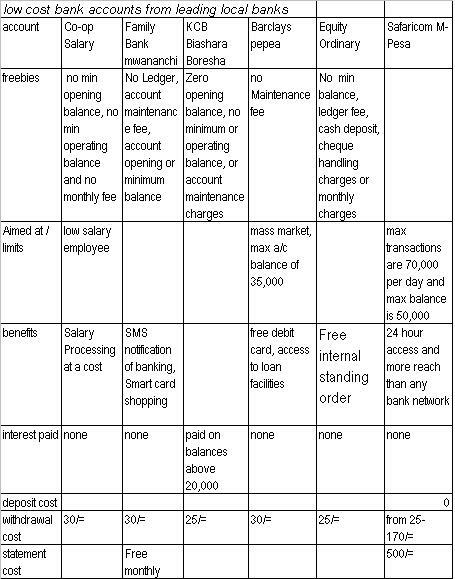 Safaricom, the mobile money market leader with M-Pesa with 19 million customers has partnerships with 30 banks and 160 financial institutions as per their 2014 annual report that notes The new (API) platform (launched in January 2014) helped streamline operations for businesses that disburse staff salaries through M-PESA, as well as those that receive payments through M-PESA and need to move cash to their bank accounts on a regular basis. It seems to very convenient to link your bank to your mobile money account – so that you can top-up your mobile money account. More so when you really need it in an emergency, or late at night or when on the road far away from any mobile money agent – but with just a few clicks on your phone, you get the cash you need to facilitate whatever need. But there are some issues to consider about having the convenience of drawing cash from your bank account sraight on to your phone. 1. It drains savings. Looking at my M-Pesa statement at the Selfcare page on the Safaricom site, most of the activity that I use M-Pesa for is for payments out. All deposits are made with a purpose, usually to pay out a corresponding amount soon after either as remittance, utility bills, airtime, meals, repairs etc. 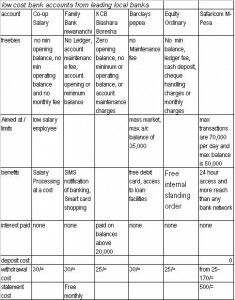 It is easier to pay out money than build savings, and there are few savings options like M-Shwari, compared to the hundreds of expense item ones. 2. It is costly, with banks charging about $1 (Kshs 75-250) for customers to tap their phones and do the transfer from bank to mobile money. It costs much less, or is free to withdrawal cash from a bank ATM and deposit it at a mobile money agent. 4. Banks may have less trust than telcos in terms of being custodians of small amounts of funds. .. if you leave Kshs 1,000 (~$12) in your M-Pesa account it will be there until you use it, with no phantom charges eating it away (it won’t stay in your phone for 6 months). But if you leave the same Kshs 1,000 in your bank account for a few months, the money will be exhausted by various tariffs like ledger fees, dormant account fees, minimum balance fees and the account will be drained out and shut down. 5. Banks change their terms and conditions too often. M-Pesa tariffs were revised again this week after almost two years in a very public way. Yet banks make several changes and don’t even inform customers till they see they stumble on new charges on their statements, or go to the bank and find that a service has been cancelled or changed. 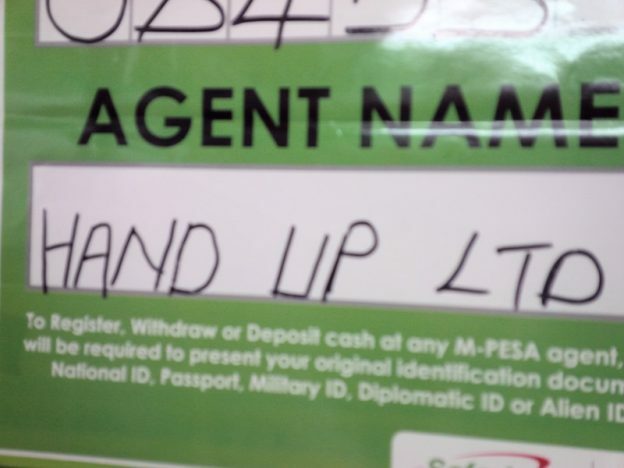 This entry was posted in bank charges, M-Pesa, mobile banking on August 23, 2014 by bankelele. Last week Family Bank announced the launch of a new product called M-Kanisa which allows church faithful to send their tithes and contributions to their Churches via mobile phone. It works with Safaricom’s M-Pesa’s paybill and offers convenience and speed for church members who need to meet their tithing obligations to their churches or institutions. For the church, it needs open a bank account and share the paybill account with their congregation and the Church will also get Immediate notification via sms when tithes and offerings are deposited into the account. Another mobile money church service, discovered via twitter, is ZionCell which works on the Airtel Money from rival provider Airtel. With this one, Church members can also sign up for insurance cover, receive daily devotional messages, health & financial messages and there are additional benefits of merchant account discounts and a Zioncell debit card. Their site appears to show that almost 3,000 different churches, affiliated to the Kenya Assemblies of God, and the Deliverance Church, are signed onto Zioncell. EDIT From Swaziland, here’s a link to a story about a tithe contribution arrangement between MTN and two local church groups. This entry was posted in Bharti Airtel, M-Pesa, mobile banking, MTN, Safaricom, SME solutions on May 14, 2012 by bankelele. Safaricom have extended the registration deadline for m-pesa divided payments via cell phone to today – October 15. Over 465,000 of their shareholders own less than 1,000 shares, and will get a dividend payment of less than 100 shillings ($1.31), with most in this category likely to get about shillings, assuming they have not bought any shares since the IPO allocations. M-Pesa’s latest offering During the dividend registration process, Safaricom has clarified that shareholders receiving dividends of less than 100 shillings will only be able to buy airtime with this, while those with larger dividends will be able to withdraw the cash, pay bills, send it to other people etc. – Funds are not insured, and are more prone to crime. And dealing with a stolen phone in Kenya is not a pleasant experience. Anyone tried to use m-pesa as their main bank a/c? This entry was posted in bank charges, Barclays, Co-op, Equity Bank, Family Finance, KCB, M-Pesa, mobile banking, Safaricom, SME solutions, Zain on October 15, 2009 by bankelele.